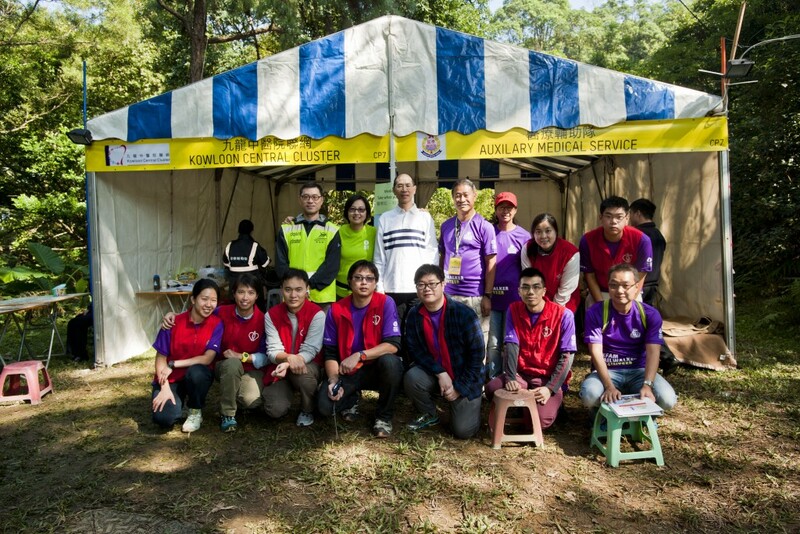 The Kowloon Central Cluster voluntary medical support team provides first aid and emergency medical treatment along the 100 km trail during the Oxfam Trailwalker. At each of the 11 CPs (including the Start and Finish Points), our volunteer doctors and nurses will provide medical treatment for injured participants. However, please not that they will not provide massages or tape participants’ feet. Note: no massage and taping will be provided in the medical tents. We normally leave the small blisters intact if they are not too problematic. However, we usually drain bigger blisters and cover them with a dressing to reduce pain and friction. You might need to change the dressing if it becomes soaked or detached. Knee pain can be caused by either overuse or a sprain. RICE (rest, ice, compression, elevation) is the initial treatment. We provide analgesic balm and oral analgesia (if you are not allergic to it) at the medical tent. We may also provide an elastic bandage for you to better support your knee. If symptoms are severe, please consider withdrawing from the event. Exhaustion can be physical and / or mental. Preparing yourself for different conditions during your training will help you overcome these difficulties during the event. Weather variations can have adverse effects on your body. It may be hot and humid during the day but suddenly turn cold and windy at night. Appropriate clothing and dietary support will help reduce these adverse effects on your body. Although the cause is still not fully understood, muscle cramps are not caused by sodium depletion, which was once thought to be the reason. As such, we do not recommend that walkers take salt tablets as they may cause stomach irritation and vomiting. Instead, proper rest, adequate fluid replacement and stretching can provide relief. There are many causes but dehydration is one of the main reasons. Make sure you are adequately hydrated throughout the event. We do not recommend consuming alcohol after finishing the event, as there have been instances where walkers have fainted after doing so. This may have been caused by a combination of dehydration and vasodilatation from the alcohol, resulting in a sudden drop in blood pressure. Drinking a sufficient amount of water is better for you. We wish you a safe and happy walk! Adequate preparation and training are essential to enable you to finish the gruelling walk with flying colours. Special thanks to the KCC voluntary medical team for providing the above tips.